Time management articles are transformational in their power to help manage your time. Often only a short, quick read, these articles are influential, impactful and instructional to everyone. This article reveals a step by step approach to time management and points you to a few other useful resources. So you sit down to begin work. The report you plan to write is due next week. A ping indicates an incoming email message. You read it. There’s an interesting link in it. You click. There’s an article about a recent development in your field. You read it, and follow the discussion around it on a popular forum. Suddenly, with a cry of surprise, you notice the time on the clock. Two hours have whizzed by, and you’re still distracted and browsing the Web. Your report work hasn’t even started! Hurriedly, you close other files and fire up your text editor to begin your report. There’s a knock at the door. Your friend walks in, a sad expression on his face, and sits down in front of you. With a sigh, you realize you’ll have to tolerate a half-hour of whining about his troubles. An hour later, he finally leaves and you’re about to get back to the report, when your colleague at work calls. He’s leaving on an emergency, and you’ll have to make the important presentation at the meeting tomorrow. The files are in an email he just sent you. Urgent things are taking control of your life. Important things are being pushed to the back-burner. It’s how you’ve suffered ever since you can remember. It’s time to change all of that – starting right now. With Time Management Tao. In a way that’s stress and anxiety free. Let’s talk about 3 simple ways to initiate this process. Most time management articles are prescriptive. They assume that everyone’s needs are exactly the same. They refer to a simple approach that’s universally applicable. But you and I know that it doesn’t work that way. Your needs are unique, personal and individualistic. Your tasks and to do lists are different from mine. And your priorities are based on what matters most to your life and future. So a universally applicable process must be infinitely adaptable. This one is. It has just 3 steps. They are simple to follow. Are you ready to begin? Stephen Covey, author of hundreds of time management articles and one of the most famous experts on organization, stresses the importance of starting with the end in mind. 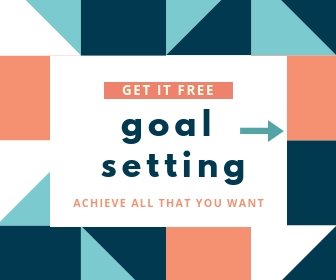 In broad categories – like health, finance and relationships – you must begin by setting out, clearly, your 3 or 4 biggest goals and targets. For each goal or target, write down a ‘mission statement’ that explicitly and clearly lays out what must happen in order to call it a ‘success’. Goals alone won’t take you anywhere, just like a map won’t get you to where you’re going. You’ve got to take action on the plan. So, decide on what activities will take you closer to your goals. You should prepare a daily schedule that will ensure your most productive time and energy is devoted to the few activities that deliver the highest return, in terms of reaching your biggest goals. Set your daily schedule at a regular time every day. Budget for it. Review your schedule daily, to make sure the priorities are right. Allow time for unexpected developments, delays and distractions. Evaluate your performance periodically and make suitable changes. With an intelligently prepared to-do list that is guided by your goals and high priority activities, you can conquer even the most challenging projects with success and confidence. Learn how to focus, beat procrastination and get things done in Dr Mani's How To Focus. Condensed into this short, crisp, tightly written guide are little known secrets guaranteed to save you at least 3 hours every day!